I have a difficult time “finding” my place when I’m reading an eBook. This isn’t really a problem when I’m reading a novel, but it becomes very frustrating when I’m reading a textbook or doing research. When I read a novel, I usually read from the beginning of the book to the end. I don’t flip back and forth. I don’t refer back to an earlier section. It’s a very linear expereince. When I’m researching or studying, however, my reading practices are very different. I read a section, make highlights and notes, put the book aside. Pick up another text. Highlight. Take notes. Put my reading materials away and try to write for a while. If I get stuck while I’m writing, I pick my reading materials up again. I’ll flip through the text, looking for a quote that seemed important. While I am over-joyed that someone is working on improving eBook design, I’m also a little discouraged. I can appreciate that this design solves the page-flipping problem. But it feels like a band-aid solution to a gaping wound. And I have to question whether we are wrong in trying to fit an old technology form into a new medium. What Do Roast and Designing for Digital Mediums Have in Common? Over the past four weeks, I’ve read About Face (Cooper, et all), Design of Everyday Things (Donald Norman), Designing the Obvious (Robert Hoekman), Designing the Interface (Jenifer Tidwell), parts of Simple and Usable (Giles Colborne), and I’m a few chapters in to Inventing the Medium (Janet Murray). I won’t lie, the volume of information, though incredibly interesting, is a bit overwhelming. These texts’ publication dates span across the past decade (well, past couple of decades if you take into account that the first publication of Design of Everyday Things was in the late ’80s). If read chronologically by publication date, each successive text introduces new terminology, slightly adjusts key definitions, offers more comprehensive explanations, and provides newer examples. But, putting all of that aside, one common theme comes up again and again and again–the importance of affordances. Steps Toward “Legitimizing” Digital Publications? This morning, inside Higher Ed posted an article titled “New Seal of Approval,” which announces new possibilities for digital humanities scholars: Anvil Academic. The platform is a team effort from the National Institute for Technology in Liberal Education (NITLE) and the Council for Library and Information Resources (CLIR), who hope Anvil Academic will give scholars researching about and with technology an outlet to publish their scholarship in away that is as acknowledged and legitimized. 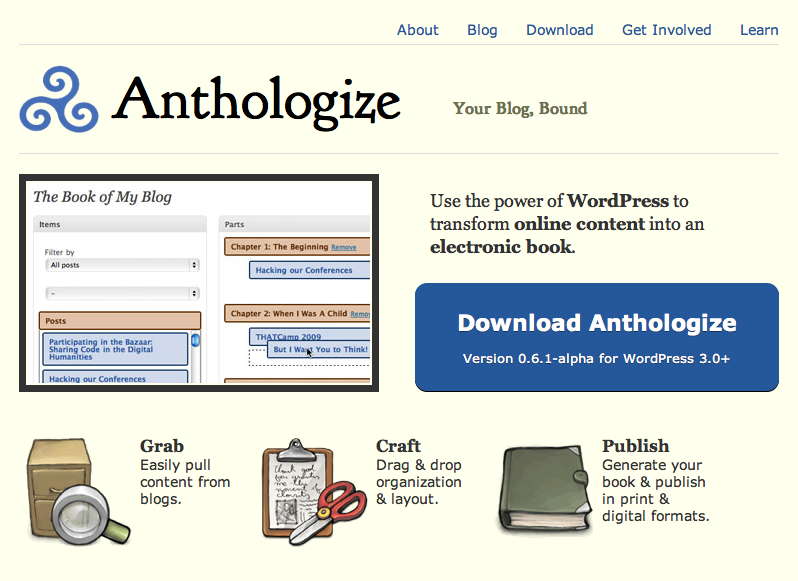 Anthologize – Interesting app developed at George Mason University that lets users grab content from WordPress 3.0 blogs and compile them into an book. 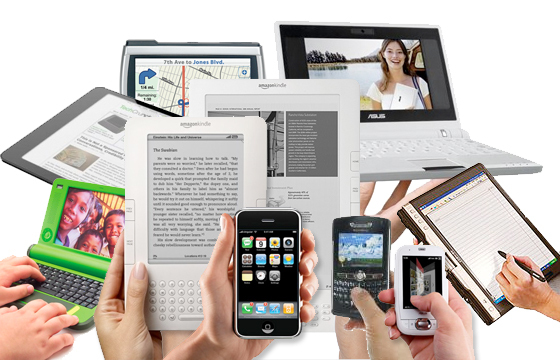 Content can be saved and published digitally in PDF, ePub, or TEI formats. I read about it in an article from the Chronicle of Higher Ed on the Challenges of the Digital Humanities. The article was a response to some of themes being discussed at the recent 2012 MLA conference. This is part four of a series of blog posts in response to About Face, by Alan Cooper, Robert Reinmann, and David Cronin. This is certainly the logest of the five-post series. Apparently I felt strongly about the topic! What is the balance between meeting user’s mental models and creating new idioms? There seems to be a slight (but necessary) conflict between two key principles mentioned throughout About Face. The first half of the text strongly reinforces the idea that programmers and designers must work together with users to understand users’ mental models. Software should match how users think—even if this contradicts the “logic” within the code.